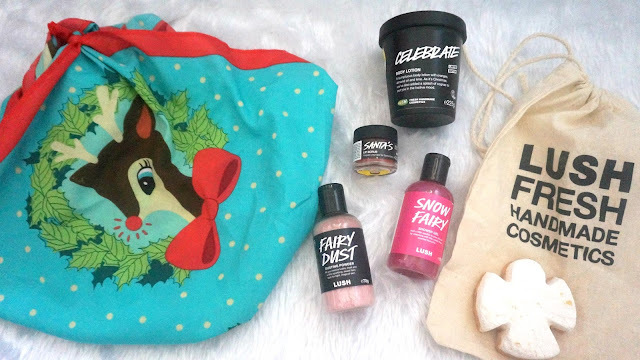 How cute is the reindeer knot-wrap?! 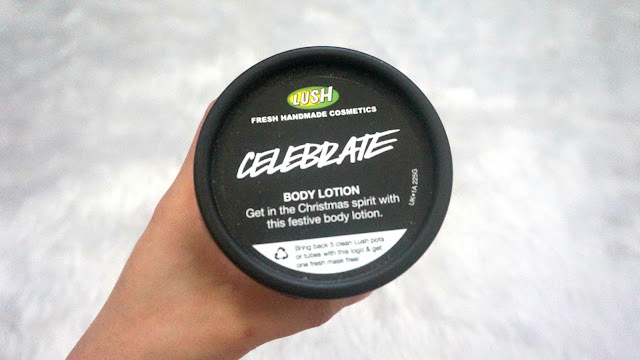 I think this product is absolutely adorable and it smells delicious! 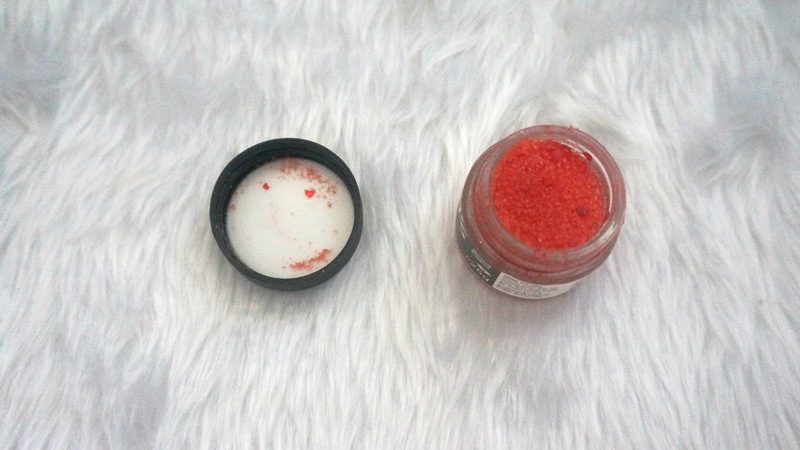 When I first used it I thought, 'ooh this is going to make me look super duper sparkly!' but its actually very subtle yet buildable. What I love about this sweet pink dust is that not only does it help the skin to stay fresh (just sprinkle some on and voila!) but it also can be used to candy-coat bedsheets. Gotta love a multi-purpose product! A shower gel that smells like candyfloss, yummy! I love that it's shimmery too so it leaves my skin looking and feeling wonderful. 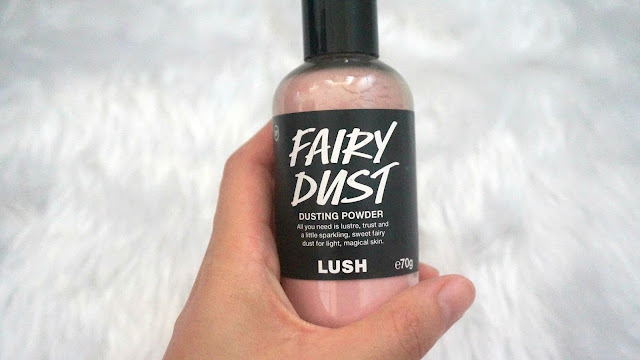 It lathers really well and it literally makes me feel like a snow fairy, hehe. 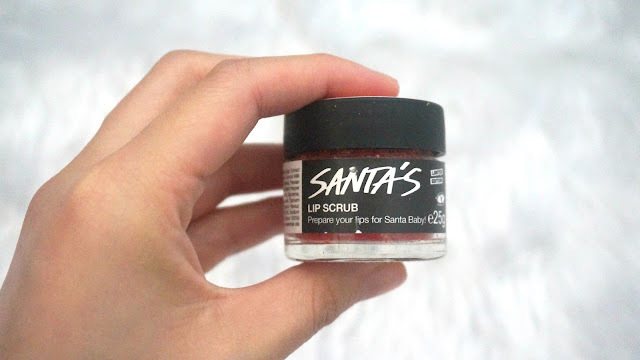 I was really excited to receive this product as I had never purchased a lip scrub before. I usually use a DIY lip scrub of sugar mixed with honey which has been effective in scrubbing off the dead skin however I no longer need to use it thanks to this! It's a cola-flavoured and on the instructions it says you can lick off the excess but I prefer to rinse off the scrub after using it haha. It leaves my lips feeling smooth and soft! 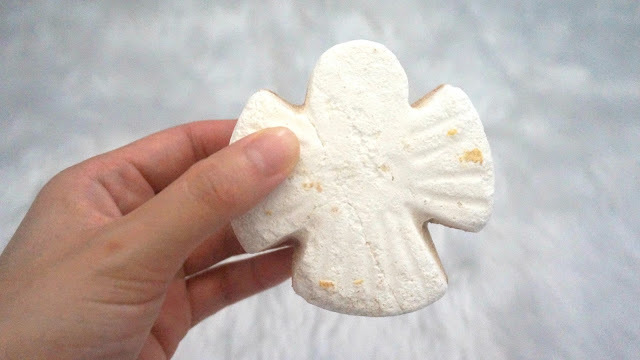 And last but not least is this gorgeous sweet almond-scented snow angel bath melt, infused with softening cocoa butter with a delicate golden lustre. 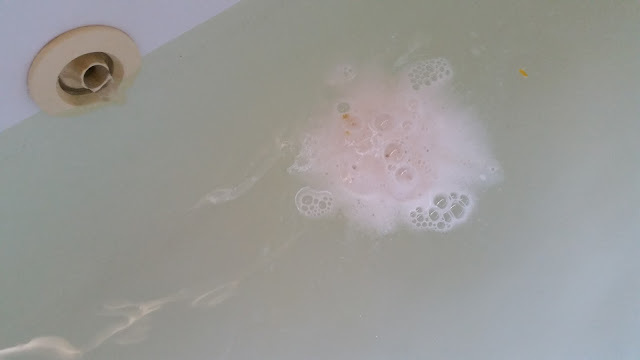 I used it during a spa bath session and it made the water look pretty. I loved how it made the water soapy but not foamy! 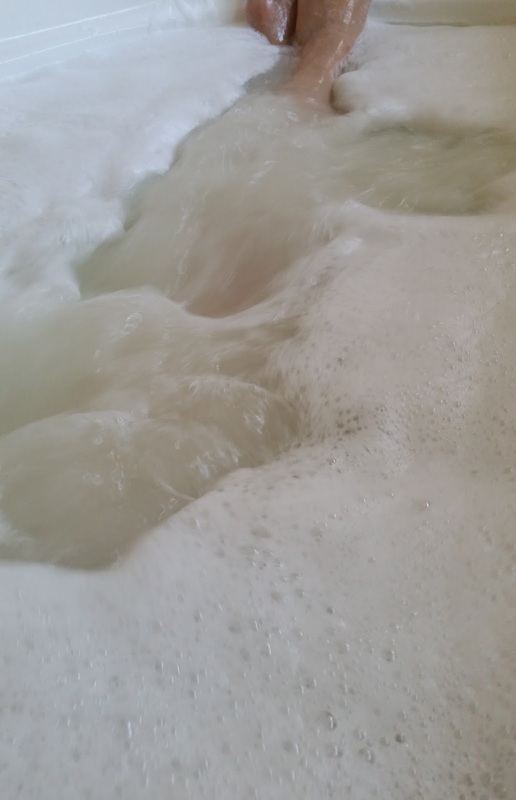 It's like there's snow in my tub! 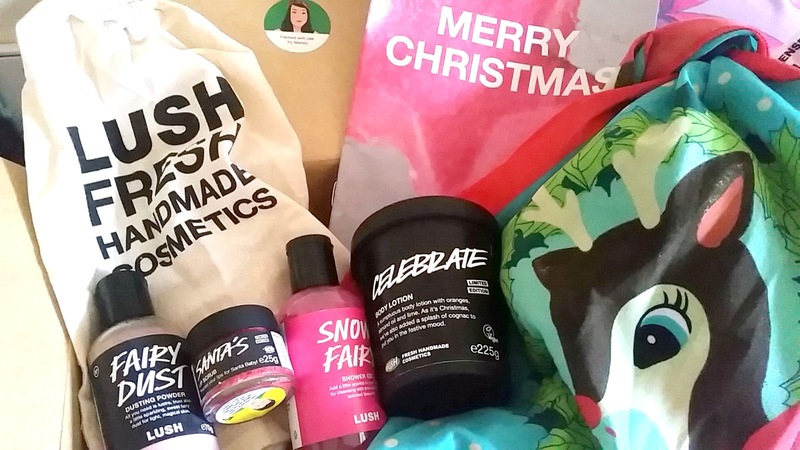 Thanks LUSH for making the lead-up to Christmas oh-so exciting! 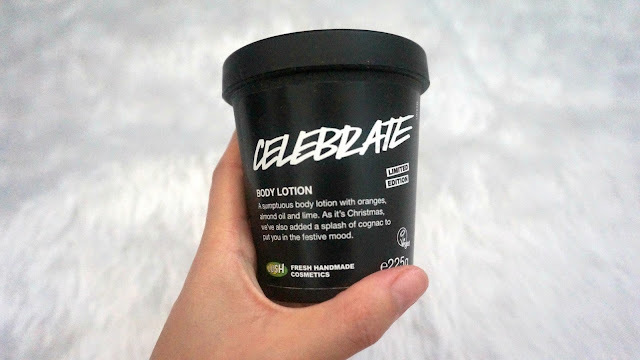 It's great how they've released quite an extensive limited edition range for Christmas (these were literally just a handful of it all!) 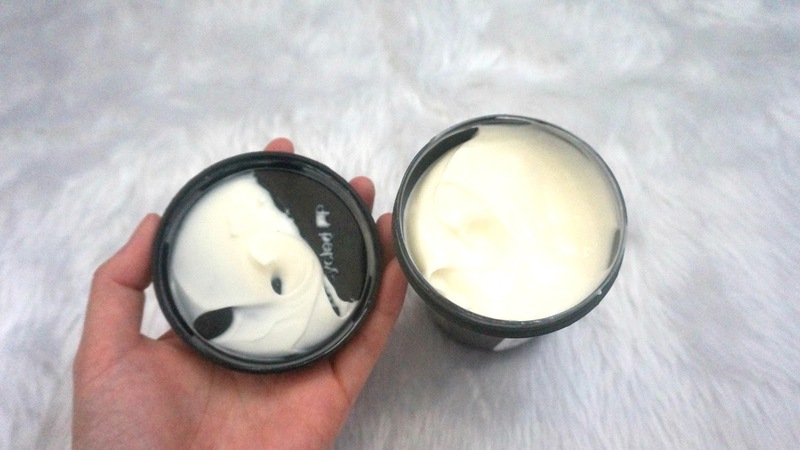 which are perfect for pampering your loved ones or even yourself. 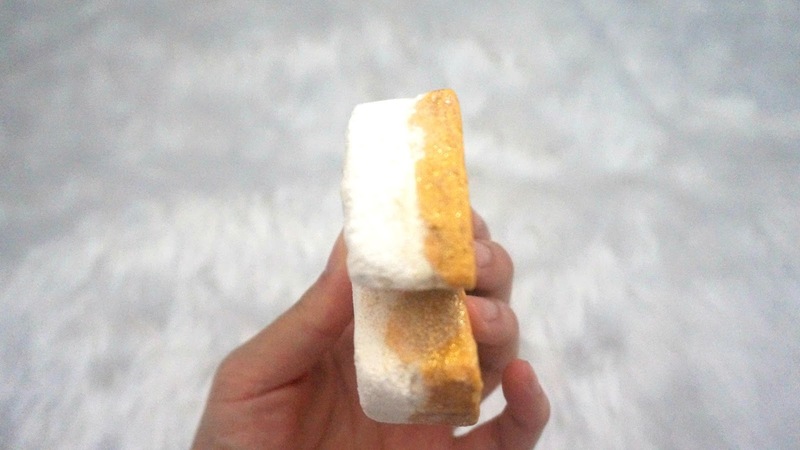 I am a huge fan of the bath bombs and bath melts, I want to try them all! Disclaimer: Products were sent for consideration purposes. This is not a sponsored post, no monetary compensation has been provided, nor am I affiliated with any of the companies mentioned. Links are not affiliate links. All opinions stated by me are 100% honest and are free from bias. See more at http://www.questjen.com/p/disclaimer.html for full disclaimer. I'm a girl who likes to keep things classy: from the way I dress to the way I present myself through actions and words, respecting myself as well as respecting others. 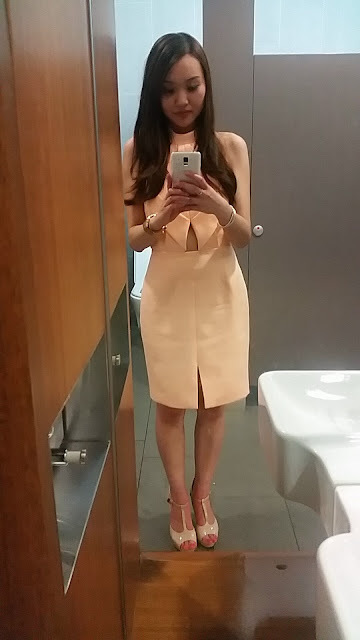 In terms of the way I dress, I would say that I'm more on the conservative side - happy to show some arm and leg but not wanting to let anything 'hang out' or else I'd feel too exposed. I was on a hunt for a dress for my second cousin's wedding which was last month and I came across the perfect dress that suited my style - it was classy, elegant with flattering cuts in the right places and a colour that I felt would bring out the warmth of my skin tone. Thankfully Glue Store came to the rescue as I browsed their range of dresses and came across an eye-catching number from Finders Keepers. For those who don't know, Finders Keepers is an Australian fashion label which provides on-trend collections of prints, shapes and textures for casual daywear to sophisticated evening looks. The dress that I chose was the Finders Keepers Billy Jean Origami Detail Dress in Peach* and its origami-like fold on the chest was what drew me to this style and also its high halter-style neckline. 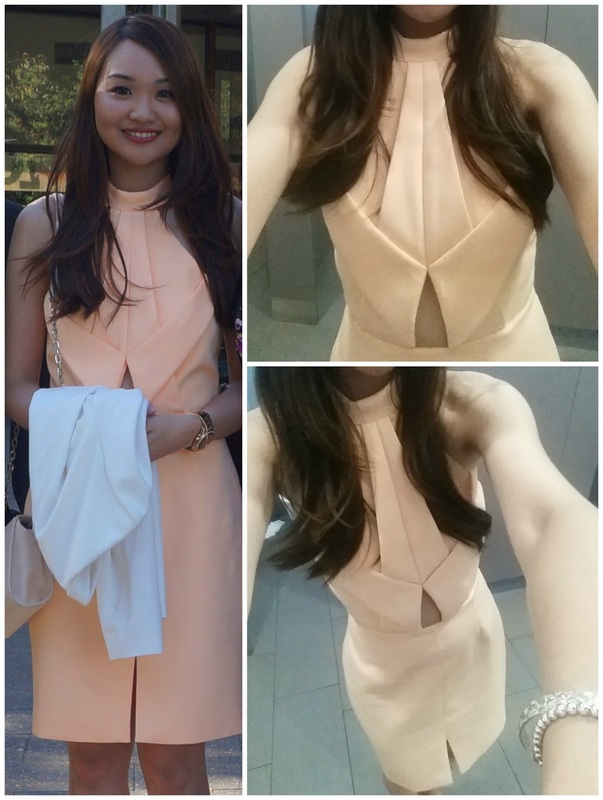 I'm usually either wearing strapless, spaghetti-strap or one-shoulder dresses so having this sort of neckline style meant that I didn't need to do any adjusting or be wary of unwanted exposure. I'm not one to wear many crop tops or anything that exposes my non-existent/hidden abs but it's certainly a trend nowadays and I can't say that I dislike it - actually I don't mind it really! Thank goodness the small triangular cutout only exposes a small portion of the abdominal area just above my belly button and not any more than that, phew. I loved the whole fine dining experience of the wedding reception, in fact I've always liked formal dining experiences but of course as a student, I can rarely and barely afford to dine at high-class restaurants! So I get very excited when I hear about relatives' weddings and their locations/catering choice, hehe. So on the day I was pleased with my outfit, displeased with my hair (I really need to work on this!) and pleased with my makeup look. Even for glam events I still like to keep it rather natural-looking with neutral shades for my eyeshadow and a pinky-red shade of lipstick. 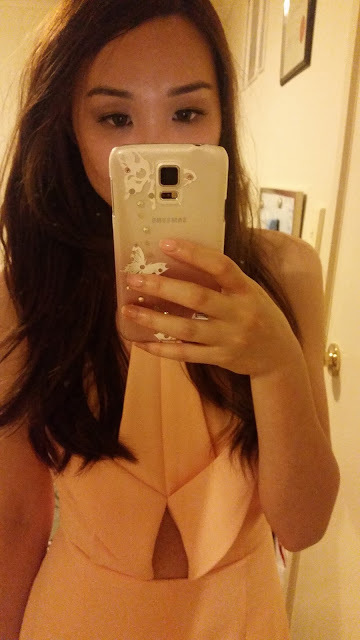 I decided to wear circle lenses and false lashes to enhance my eyes in a subtle way. 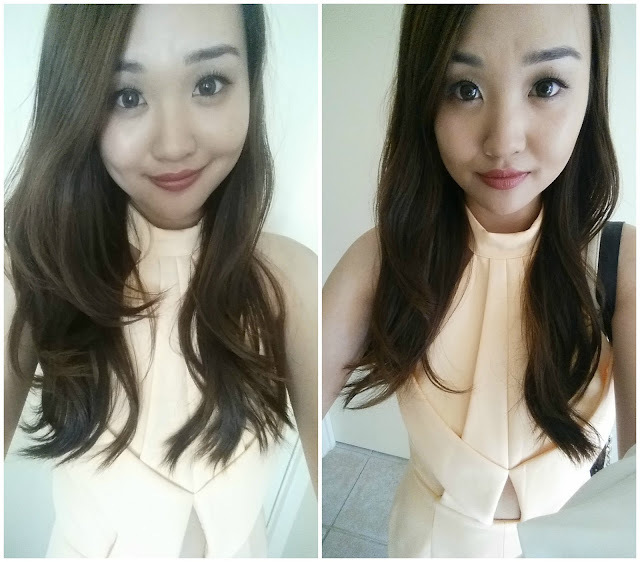 I realised that in the two photos of myself above, my lenses are barely noticeable which to me is a good thing. I don't opt for the crazy/unnatural-looking lenses as I only intend to slightly lighten and enlarge my eyes (though I've been told that my natural irises resemble dark circle lenses). The lenses that I wore to the wedding were the GEO Berry Holic Brown CM954* from Pinky Paradise which are more of a hazel brown and I think they're the perfect colour for that subtle lightening of my eyes. They're really comfortable too and I've worn them a few times. What I love about coloured lenses is that you can actually see my pupils! The Berry Holic range include 3-tone lenses which blend in extremely well for eyes that are as dark as mine. 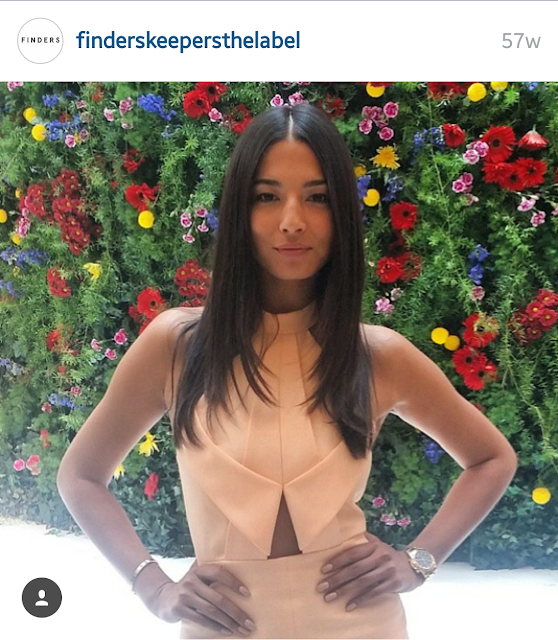 From browsing through Finders Keepers' Instagram account, I noticed that Aussie model Jessica Gomes has worn this dress and it looks amazing on her. But seriously, what doesn't look amazing on her?? Who wore it better? Just kidding, obviously her. Do you have any exciting events coming up? Disclaimer: Products marked with a * were sent for consideration purposes. This is not a sponsored post, no monetary compensation has been provided, nor am I affiliated with any of the companies mentioned. Links are not affiliate links. All opinions stated by me are 100% honest and are free from bias. See more at http://www.questjen.com/p/disclaimer.html for full disclaimer.